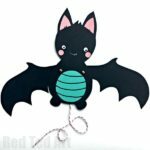 Well I hope you guys are not bored of our lovely Paper Puppets yet!! I know I am not. 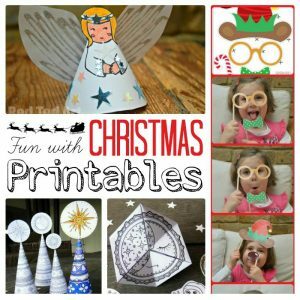 They have been such a blast to make, especially in the run up to Halloween and now Christmas. Remember the Day of the Dead Puppets? Well, we had a competition and you guys submitted over 38 different Skeleton Puppet Designs. Each one more fabulous than the next. 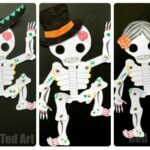 I added them all to one large Day of the Dead Craft collage for you browse! Affiliate links added for convenience. 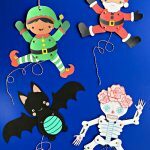 Remember we also have some fabulous Multicultural Santa Puppets and some adorable Diverse Elf Puppets to make this Christmas too. Yes, yes yes YES! 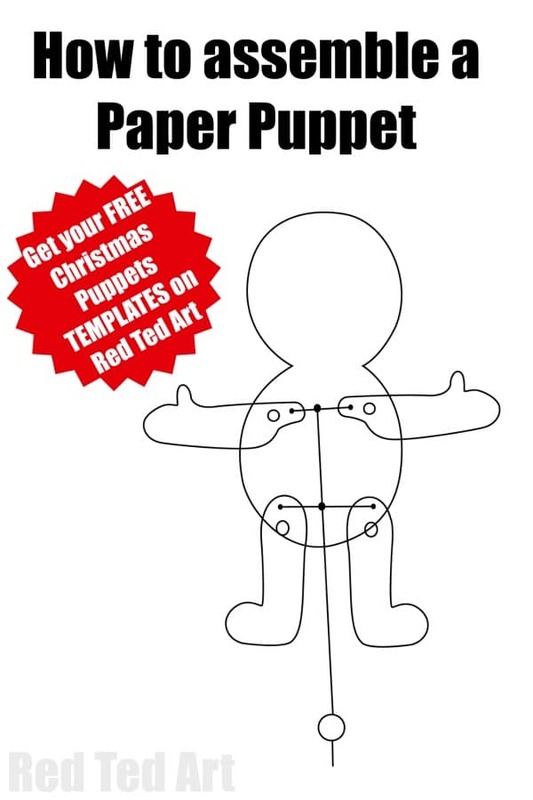 Anothere quick and handy how to make a paper puppet video for you.. but again, I have included instructions down below, including a schematic for how to assemble the back of your Christmas Puppet – that is in fact the key bit to your craft. 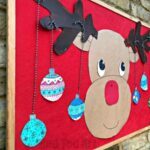 Get that bit wrong and your lovely little elf won’t be able to flap his arms and legs in quite the best way! 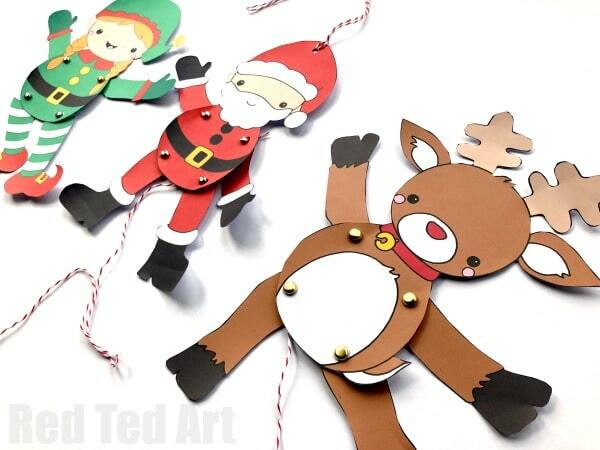 Begin by choosing either your colour your own paper puppet or ready to assemble puppet. If you are using a laminator, print on ordinary paper, if you are using just card, print directly onto the card. Be sure you use card that is suitable for your printer. 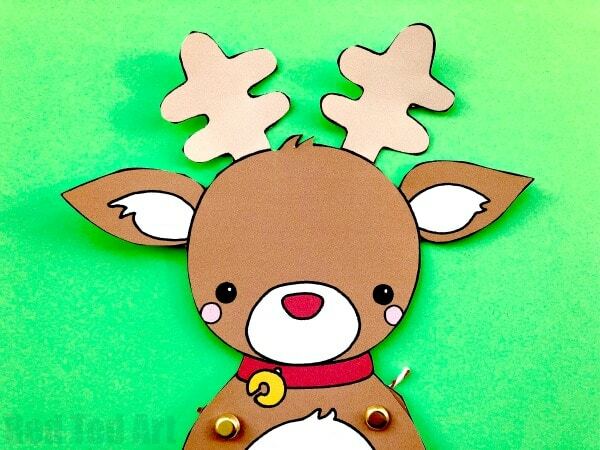 If colouring, colour your reindeer now…. 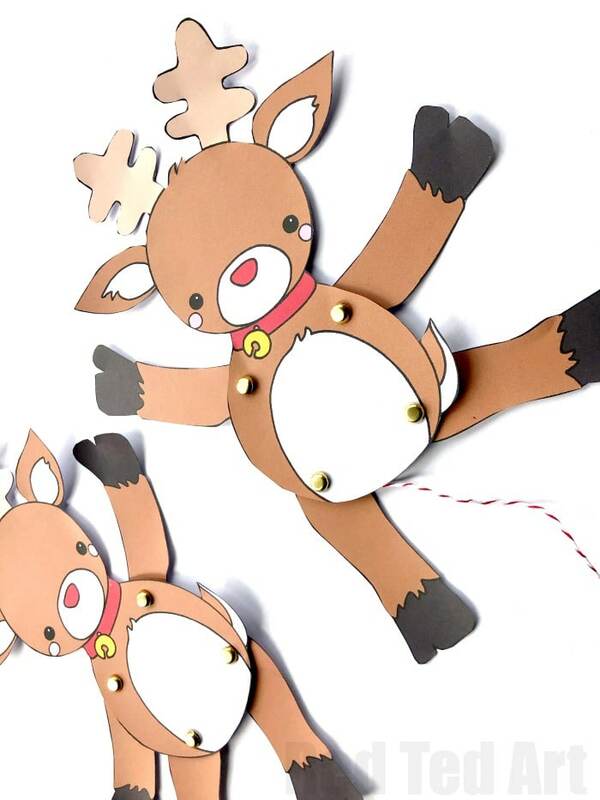 It is now time to cut out all your rudolph puppet “bits”. Cut them as neatly as you can. 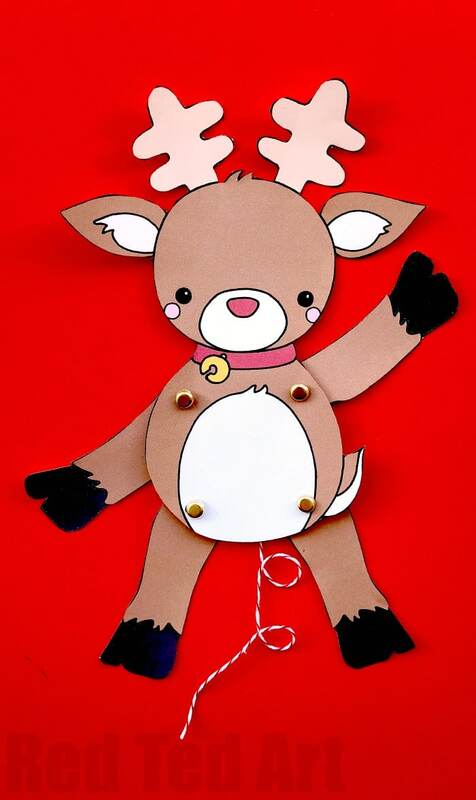 Using your hole punch, make holes for the moving parts – 4 in the body, one each in the arms and legs. Thread your needle. It does help to have a large eyed, pointy needle – especially if using a laminator. If you do laminate your paper puppets you MAY need to make the holes for the bakers twine with scissors. Loosely connect your arms and legs with your brads / split pins. Now guide the thread throw the marked hole of one arm and then through the other. Make sure the arms are in the “down position” and that the thread runs across in a straight manner – not too tight, not too loose. Knot the other end. And your Elf Paper Puppet is FINISHED!! ENJOY! 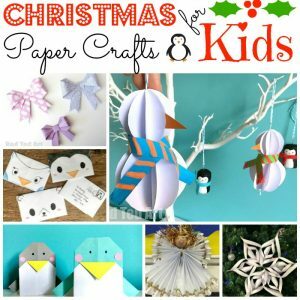 Remember we have more Christmas Paper Puppets – Multicultural Santa Puppets and some adorable Diverse Elf Puppets to make. Ooopsy! Glad you are “on it”!! I forgot to add it.. All sorted now!